Working with the NUI Galway Community & University Sustainability Project (CUSP) Michelle co-ordinates the development and roll out of the NUI Galway Sustainability Strategy 2017-2020 and the Student and Staff Sustainability Engagement Strategy. Michelle is currently a Sustainability Engagement Associate working on the Community and University Sustainability Project where she leads the roll-out of the NUI Galway Sustainability Strategy 2017-2020 ensuring its 20 prioritised targets are achieved. Michelle has started the process of student engagement to inform the development of the NUI Galway Sustainability Strategy beyond 2020. Michelle is an Environmental Science graduate from NUI Galway. She went on to complete a Higher Diploma in Education before attending Queen’s University, Belfast where she completed an MSc. in Environmental Engineering. 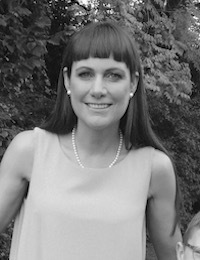 Michelle previously worked as a Research Associate with the Ryan Institute, NUI Galway. Her research areas include sustainability relating to education and health sectors. Prior to her time at NUI Galway Michelle worked for 12 years as the Environmental & Waste Management Co-ordinator with Galway University Hospitals.